Learning how to cook eggs is a great step in learning to cook because you can do so much with eggs. 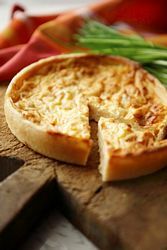 Whether it is a boiled egg, scrambled, quiche or you are creating a meringue, eggs are used in a variety of dishes. This cooking lesson will teach you some cooking methods for eggs as well as how to make stiff peaks from egg whites and recipes to try. This is the best way to cook hard boiled eggs. Add your eggs to a medium pan and cover with water. 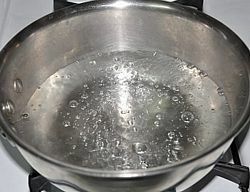 Once it starts boiling put a tight fitting lid on and turn off heat. Let sit 10-15 minutes. I like to start this process earlier than I need them. 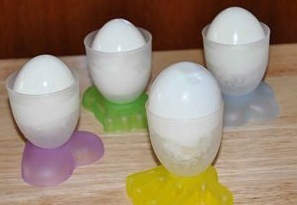 After 10-15 minutes, pour cold water over the eggs and let sit another 10 minutes. Peel. Heat skillet until warm. Crack egg directly into the frying pan. Sprinkle with salt and pepper. Turn heat to medium-low. Cover with a lid and cook several minutes. Flip to other side and continue to cook until done. If you like your yolk runny, you'll need to quit cooking when egg whites are set. Crack eggs into bowl. Stir in water and season with salt and pepper. Add any "extras" you might like. Blend together. Heat skillet on the stove. 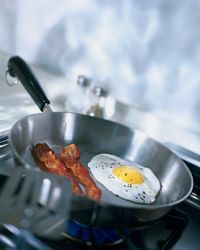 Add eggs to hot pan and stir with a spatula until eggs are completely cooked. Step 1: Add water to a saucepan about half full. Step 2: Bring to a boil. Step 3: Add 1 capful of vinegar and a sprinkle of salt. 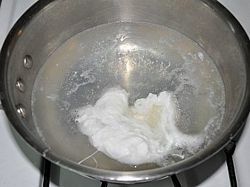 Step 4: Break egg in a cup and when water is boiling, add egg to boiling water. Step 5: Allow to cook several minutes while you predict what will happen to your runny egg. (Many kids will already know what happens but it is interesting for them to watch it happen) Just be careful with kids close to the stove. Step 6: When egg has cooked several minutes take out with a slotted spoon and eat. 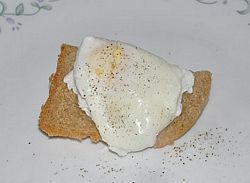 Science behind poaching eggs: By adding vinegar to the water the protein in the egg comes together which is called, coagulate. You don't necessarily need a microwave egg cooker, although I really love mine. You can make them right in a glass. See how to cook eggs in the microwave. To separate eggs, crack an egg over a bowl. Using the shell or an egg separator tool, separate the egg white from the egg yolk. You need to do this when make puddings, hollandaise sauce, or making meringue. 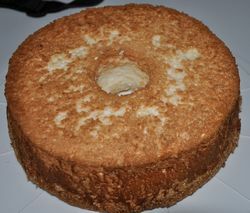 You make Angel Food Cake with egg whites. 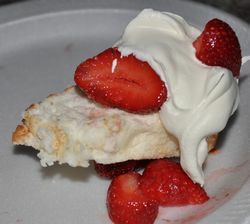 This is a good recipe to practice separating eggs as it takes almost a dozen egg whites to make an angel food cake. 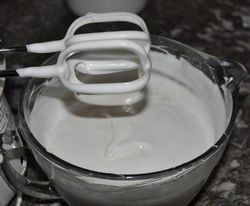 Beating egg whites for a long time turns into stiff peaks. Heat oven to 375. Sift flour and ¾ C. + 2 T. sugar; set aside. Combine extracts in small bowl and set aside. 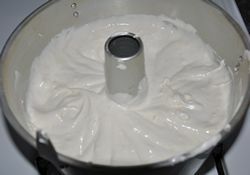 Beat egg whites, cream of tartar and slat until it forms peaks. Add the ¾ C. of sugar slowly, then beat on high until stiff peaks form. Beating on low add flour mixture and extracts slowly. Spoon into an angel food cake pan. Move a knife through batter to remove air pockets. Bake 30-35 minutes. Invert pan onto tin funnel to cool. Do you have a tip on how to cook eggs or recipe to share? 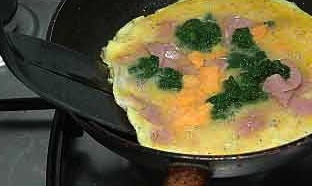 Go to basic cooking lessons from this how to cook eggs tutorial.